Amanda Lightfoot from South Shields and Lee Jackson from Stockton have both been selected in the Biathlon event at Sochi 2014. 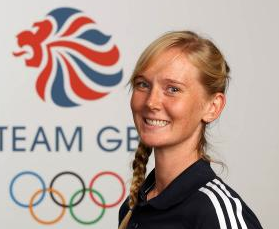 Amanda's only the second woman to be selected for Team GB in the Biathlon event. She first started skiing through the military in 2006. Still serving in the Adjutant General's Corps of the Army, she was awarded British Biathlete of the Year in 2011. She has been a member of the British Biathlon team for five years, and has competed at both European and World Cup levels. "When it was announced that I had been selected for Team GB for Sochi 2014, I was overwhelmed, tears and laughter combined. It has been a worthwhile journey to get to this point in my sporting career and I will enjoy every minute of the Sochi 2014 Winter Olympics. My goals are to make the top 30 in the world and also to compete in the Olympic Pursuit race." Meanwhile, it's 33 year old Lee's second Olympic competition, having competed in Vancouver 4 years ago. He has been competing in biathlon for fifteen years. At his Olympic debut, Jackson finished 55th in the sprint, 56th in the pursuit and 66th in the individual competition. 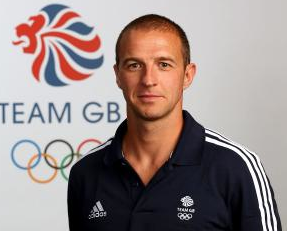 "I am delighted to have been selected to compete in Sochi, which will be my second Olympic Winter Games. Having missed out on selection for the Turin Winter Olympics, Vancouver taught me how to deal with the pressure in the build up to the Games and I feel better prepared now heading to Sochi. Being a part of that One Team, Team GB, is unbelievable, and remembering the disciplined four year commitment full of hard work and sacrifice helps me to focus on the task at hand. My goal in Sochi is to achieve a top 30 result in the individual 20km race." Both Jackson and Lightfoot will feature in the Sprint competition, which consists of three laps of a 3.3km loop for men and 2.5km loop for women interspersed with two bouts of shooting. That is followed by the Individual competition - a 20km and 15km for men and women respectively, contested over five laps of a 4km or 3km loop interspersed with four bouts of shooting. Their results in the Sprint will determine whether Jackson and Lightfoot progress through to the Pursuit competition, a further five laps of a 2.5km or 2km loop interspersed with four bouts of shooting.